As anyone involved in engaging speakers or entertainers knows, much of the cost is associated with travel and time - often the performance itself is but a fraction of the total outlay. By keeping an eye on who is travelling there are often very significant savings to be had, combined with the rare opportunity of securing a special, and often rarely heard, international speaker. E-mail us for a list of presenters on the move currently and in the future. 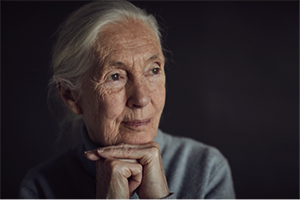 Dr Goodall is in New Zealand in the second half of May 2019 for a series of public lectures. She is available for private events during this time, please contact Celebrity Speakers for more details. "It is not impossibilities which fill us with the deepest despair, but possibilities which we have failed to realize."